Chagatai Khan: GEO TV: Hamid Mir's Anti Pakistan Reporting. Don't be deceived by these sycophants, time servers and worse creatures on earth like Hamid Mir and his likes they are worse than snakes. On one hand he says that the Pro PPP websites/bloggers http://letusbuildpakistan.blogspot.com/2009/11/capital-talk-and-let-us-build-pakistan.html is creating differences between Geo/Jang Group Journalists and Pakistan army. Whereas Hamid Mir himself has damaged the reputation of Pakistan Army [read the articles below]. 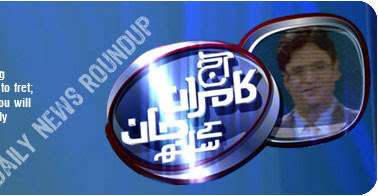 In his popular talk show 'Capital Talk' (Geo TV) on the night of 5 November 2009, Hamid Mir dedicated almost entire program to criticize the 'Let us build Pakistan' blog as well as the group 'Critical Supporters of Pakistan People's Party' (CSPP). Hamid Mir and his guest Ansar Abbasi alleged that the 'Let us build Pakistan' was being run from the President House, and that an ambassador was the overall in charge of this blog. The 'Capital Talk' and the 'Let us build Pakistan' debate http://letusbuildpakistan.blogspot.com/2009/11/capital-talk-and-let-us-build-pakistan.html. This is with reference to Hamid Mir's report (Sept 20) titled "How an ex-commando became a terrorist". It is total disinformation -- Ilyas Kashmiri neither had any association with the SSG nor did he serve in the army as a soldier. Being an ex-commando officer, I know that the SSG never indulges in such heinous crimes. It's a superior professional force of the army composed of responsible officers and men who carry out professional tasks. I would like to add that there is always an attempt by hostile agencies to defame the security forces of Pakistan with a malicious intent. Therefore, newspapers and columnists must refrain from falling prey to these fifth columnists. ISLAMABAD: Once he was a blue-eyed boy of President General Pervez Musharraf. He got a cash award from the president for slitting the throat of an Indian Army officer in the year 2000 but after 9/11, he became a suspected terrorist. This terrorist was Ilyas Kashmiri, reportedly killed in a US drone attack in North Waziristan last week. US officials claimed that Ilyas Kashmiri was a senior al-Qaeda commander and his death was a huge loss for the militants fighting against the foreign forces in Afghanistan. Very few people know that Ilyas Kashmiri was a former SSG commando of Pakistan Army. He was originally from Kotli area of Azad Kashmir. He was deputed by Pakistan Army to train the Afghan Mujahideen fighting against the Russian Army in mid-80s. He was an expert of mines supplied to Afghan Mujahideen by the US. He lost one eye during the Jihad against Russian invaders and later on he joined Harkat-e-Jihad-e-Islami of Maulvi Nabi Muhammadi. Ilyas Kashmiri was based in Miramshah area of North Waziristan where he was working as an instructor at a training camp. After the withdrawal of Russian Army from Afghanistan, Ilyas Kashmiri was asked by Pakistani establishment to work with Kashmiri militants. He joined the Kashmir chapter of Harkatul Jihad-i-Islami in 1991. After a few years, he developed some differences with the head of HuJI Qari Saifullah Akhtar. Ilyas Kashmiri created his own 313 Brigade in HuJI. He was once arrested by Indian Army from Poonch area of Indian held Kashmir along with Nasrullah Mansoor Langrial. He was imprisoned in different Indian jails for two years and finally he escaped from there after breaking the jail. His old friend Langrial is still imprisoned in India. Ilyas Kashmiri became a legend after escaping from the Indian jail. It was 1998 when the Indian Army started incursions along the Line of Control and killed Pakistani civilians many times by crossing the border. Ilyas Kashmiri was given the task to attack the Indians from their back. He did it many times. Indian Army killed 14 civilians on February 25, 2000 in Lonjot village of Nakial in Azad Kashmir. Indian commandos crossed the LoC, spent the whole night in a Pakistani village and left early morning. They slit the throats of three girls and took away their heads with them. They also kidnapped two local girls. The next morning, the heads of the kidnapped girls were thrown towards Pakistani soldiers by the Indian Army. The very next day of this massacre, Ilyas Kashmiri conducted a guerilla operation against the Indian Army in Nakyal sector on the morning of February 26, 2000. He crossed the LoC with 25 fighters of the 313 Brigade. He surrounded a bunker of Indian Army and threw grenades inside. After one of his fighters Qudratullah lost his life, he was able to kidnap an injured officer of the Indian Army. That was not the end. He slit the throat of the kidnapped officer. He came back to Pakistan with the head of the dead Indian Army officer in his bag and presented this head to top Army officials and later on to the then Army Chief General Pervez Musharraf, who gave him a cash award of rupees one lakh. The pictures of Ilyas Kashmiri with the head of a dead Indian Army officer in his hands were published in some Pakistani newspapers and he became very important among the Kashmiri militants. Maulana Zahoor Ahmad Alvi of Jamia Muhammadia, Islamabad, issued a fatwa in support of slitting the throats of Indian Army officers. Those were the days when Corps Commander, Rawalpindi, Lt Gen Mehmood Ahmad, visited the training camp of Ilyas Kashmiri in Kotli and appreciated his frequent guerilla actions against the Indian Army. His honeymoon with the Pakistan Army generals was over after the creation of Jaish-e-Muhammad. Gen Mehmood wanted Ilyas Kashmiri to join JeM and accept Maulana Masood Azhar as his leader but the one eyed militant refused to do so. The militants of JeM once attacked the training camp of Ilyas Kashmiri in Kotli but he survived that attack. His outfit was banned by Musharraf after 9/11. He was arrested after an attack on the life of Pervez Musharraf in December 2003. He was tortured during the interrogation. The United Jihad Council led by Syed Salahuddin strongly protested the arrest of Ilyas Kashmiri and on the pressure of Kashmiri militants, Ilyas Kashmiri was released in February 2004. He was a shattered man after his release. He disassociated himself from the Kashmiri militants and remained silent for at least three years. It was the Lal Masjid operation in July 2007, which totally changed Ilyas Kashmiri. He moved to North Waziristan where he spent many years as a Jihad instructor. This area was full of his friends and sympathisers. He reorganized his 313 Brigade and joined hands with the Taliban but he was never close to al-Qaeda leadership. He attracted many former Pakistan Army officers to join hands with him. The strength of 313 Brigade in North Waziristan was more than 3,000. Most of his fighters were hired from the Punjab, Sindh and Azad Kashmir. It is alleged that he organised many terrorist attacks in different areas of Pakistan, including the assassination of Major General (retd) Faisal Alvi in Rawalpindi. Alvi was also from the SSG and he led the first-ever Army operation in North Waziristan in 2004. Kashmiri planned attacks on Alvi on the demand of Taliban in North Waziristan. Sources close to his family have yet not confirmed his death in a US drone attack but there is no doubt that Ilyas Kashmiri was actually a creation of the Pakistani establishment like Zakiur Rehman Lakhvi of the banned LeT. The Pakistani establishment abandoned and arrested most of these militant leaders without realising that they had followers all over Pakistan and they could create problems for Pakistan anytime. The establishment is still without any policy about all those who were once declared “freedom fighters” and were honored by the top Army officials like Pervez Musharraf. 'That's show business,' Guy said glibly. 'I don't like it,' I said. The Editor Daily Jang in his editorial dated 7 Nov 2009 http://www.jang.com.pk/jang/nov2009-daily/07-11-2009/idaria.htm [Internet Edition]is lecturing Pakistani People and Politicians about Corruptions what about CORRUPT AND LIAR Journalists in Jang Group of Newspapers/The News International and GEO TV. And if that was not enough another Group Editor, The News International i.e. 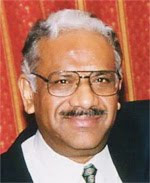 Mr Shaheeh Sehbai [same Newspaper Group] who has nowadays adopted the role of Grand Tomás de Torquemada, the Grand Inquisitor of Spain, and like a bull in a china shop hitting everybody without even bothering to remember [as per his own article] that several leading corrupt journalists/columnists [again as per his own article] are working and writing in Daily Jang. The Editor Daily Jang in his editorial dated 7 Nov 2009 http://www.jang.com.pk/jang/nov2009-daily/07-11-2009/idaria.htm is lecturing Pakistani People and Politicians about Corruptions what about Abusive AND Criminal Journalists in Jang Group of Newspapers/The News International and GEO TV. Audio is in three part click the link and read the Editor Jang who is advising government on Controlling Corruption whereas forgetting that JANG Group is infested with Corruption.